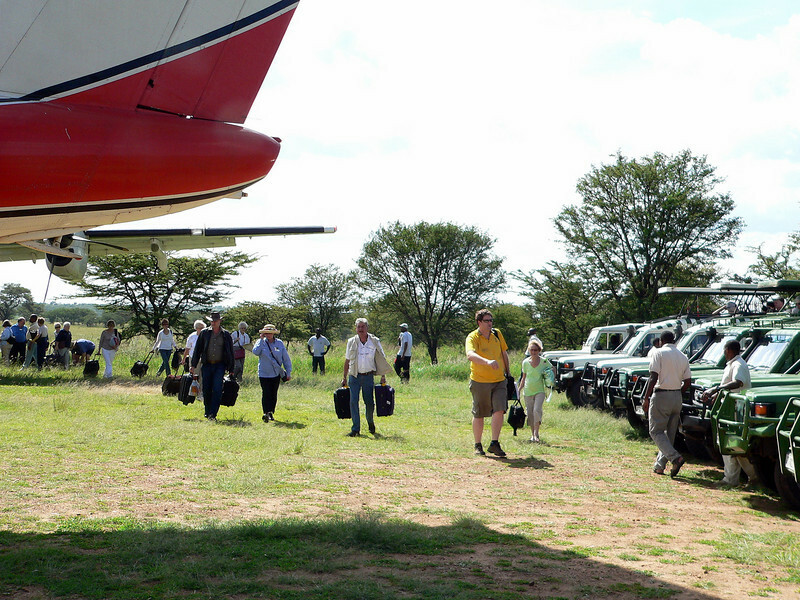 Disembarking our Air Kenya planes to head off to our lodges. The group split here to go to either Migration Camp (that was us) or the Lobo Game Lodge. The Lobo airstrip, where the two planes landed, was just a grass strip with wind socks at each end.